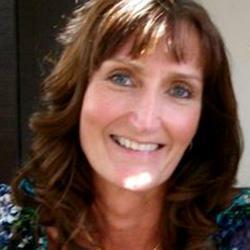 Fiona Pirilla is a Health and Safety Training Consultant working across the UK. She has been a professional trainer for a number of years both with BP, ROSPA and now latterly with SMTS Ltd for the last 11 years. This job currently involves a lot of travelling around the UK and occasionally abroad too. She formerly played basketball for England culminating in 82 full international caps and a Commonwealth Gold Medal. She studied Sociology in the USA for four years whilst on a Basketball scholarship and travelled to numerous countries across the world whilst playing for England. She was diagnosed with MDS 5q- in 1999 and this effectively eventually put a stop to playing basketball, but thankfully she is now able to participate in normal exercise due to effective drug treatments. She became one of the founding members of the MDS UK Patient Support group and continues in her role as secretary. As part of this she has also participated in NICE evaluations for a drug treatment as a patient expert and participated in patient videos too.